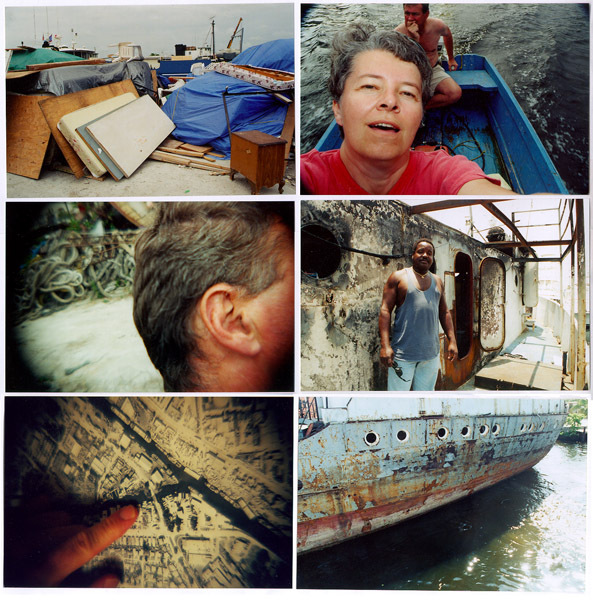 “Imaging Place: The Miami River” is a place-based virtual reality project that combines panoramic video, and three-dimensional virtual worlds to document situations where the forces of globalization are impacting the lives of individuals in local communities. The goal of the project was to develop the technologies, the methodology and the content for truly immersive and navigable narrative, based in real places around the world. 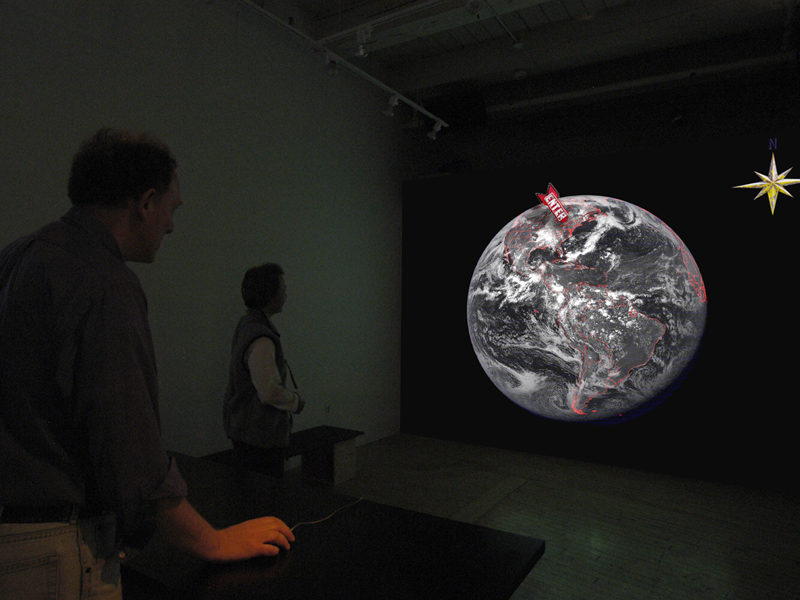 “Imaging Place” is aligned with the early psychogeographic walks framed by the Surrealist’s “Visits-Excursions” of 1921 as well as Guy Debord and the Situationists International’s idea of the drifts or dérive. The dérive, was a kind of open passage which ignored the normal traffic flows and circulations of the planed urban developments. Instead, participants moved through a city in a way that followed its moods, that tried to track its emotions, the feeling and atmosphere of a place, to find what they called the plateau tourné. The plateau tourné is a turntable, hub or vortex, where forces came together to create strong atmosphere, a crossroads if you like. 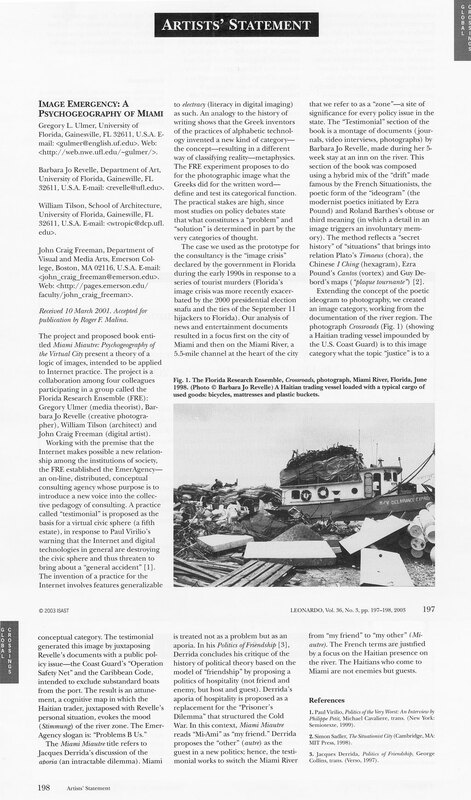 In “Imaging Place: The Miami River,” the dérive was represented by dolly shots from point to point and the plateau tourné by panoramic still photography. 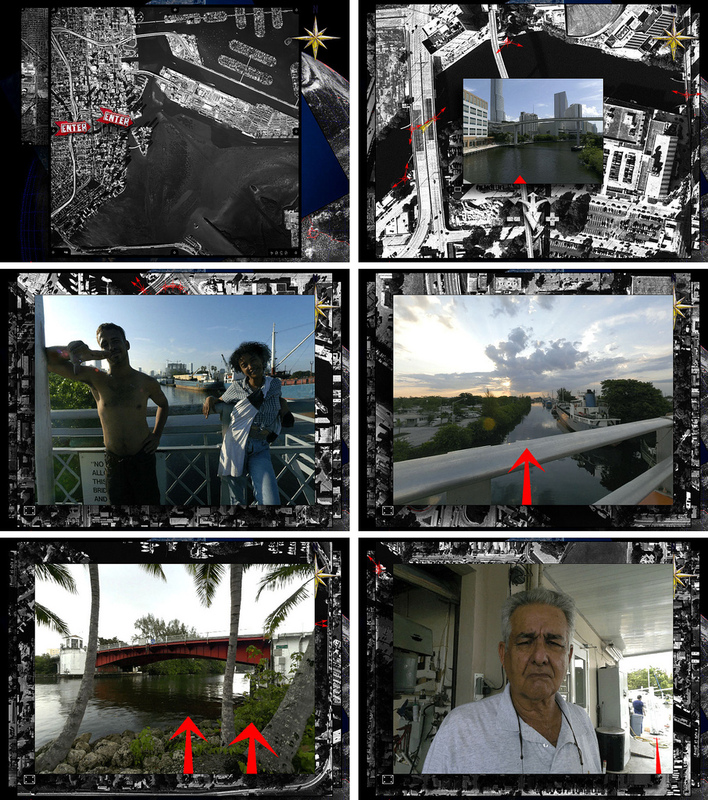 Imaging Place: The Miami River image sequence. The Miami River work was started in 1997, although this version is dated 2003. This was well before Google bought Keykole Inc. the precursor to Google Earth and Google Maps. Google Street View appeared the year following an exhibition of the Imaging Place work, including the Miami River project, in Lowell where I met an executive from Google at the opening. “Imaging Place,” John Craig Freeman. “Miami Virtue and the Ulmer Tapes,” Small Cities Imprint, Greg Ulmer, Barbara Jo Revelle, William Tilson and John Craig Freeman. “Place and the Electrate Situation,” Rhizomes, William Tilson and John Craig Freeman. “Miami River Project,” Barbara Jo Revelle. 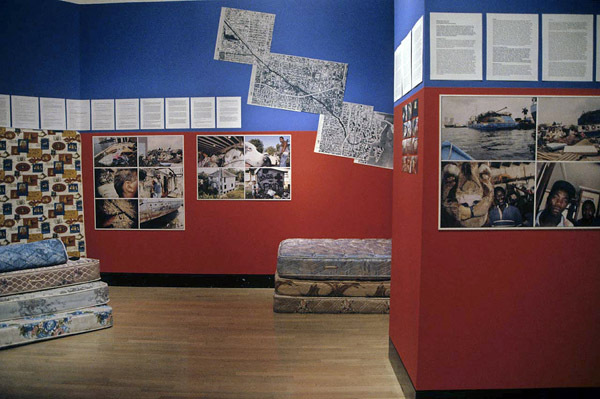 Barbara Jo Revelle, The Miami River Project. Detail of The Miami River Project.